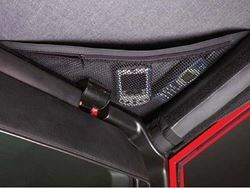 Re-engineered bow system is easy to use and folds down when the top is not in use. Easy Installation: Uses the factory mounting positions. Windows will zip out for the true Jeep experience. Zipper storage pockets located in each top front corner for extra storage of smaller items such as a garage remote, or a cell phone. Storage Bags Included: for the windows and soft top. 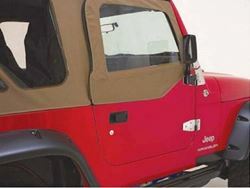 Rear tailgate bar has a custom made tonneau cover for protecting valuables and sealing your top. Black Denim, Gray Denim, Spice Denim, Diamond Black, or Diamond Khaki. 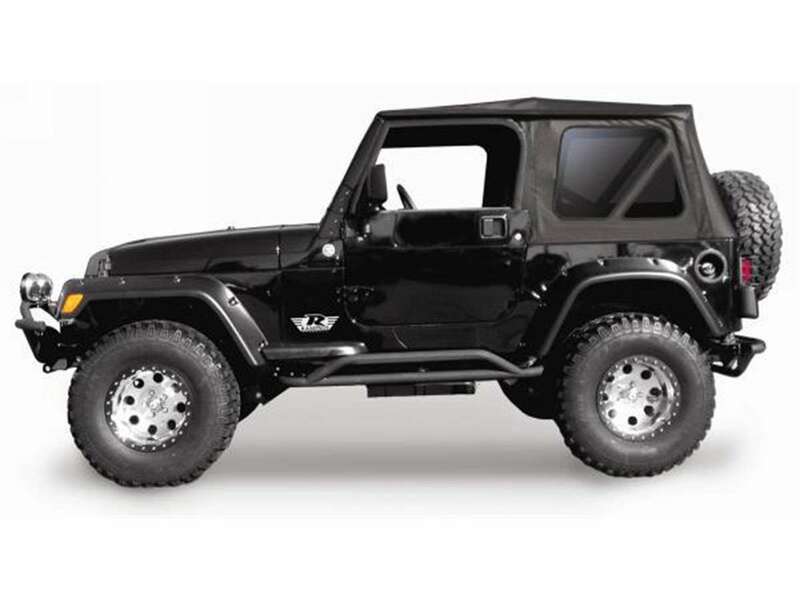 Hardware kit only includes: All metal components, tailgate bar, adjustable spreader bars, and upper door windshield inserts. Powder coat finish for long life. 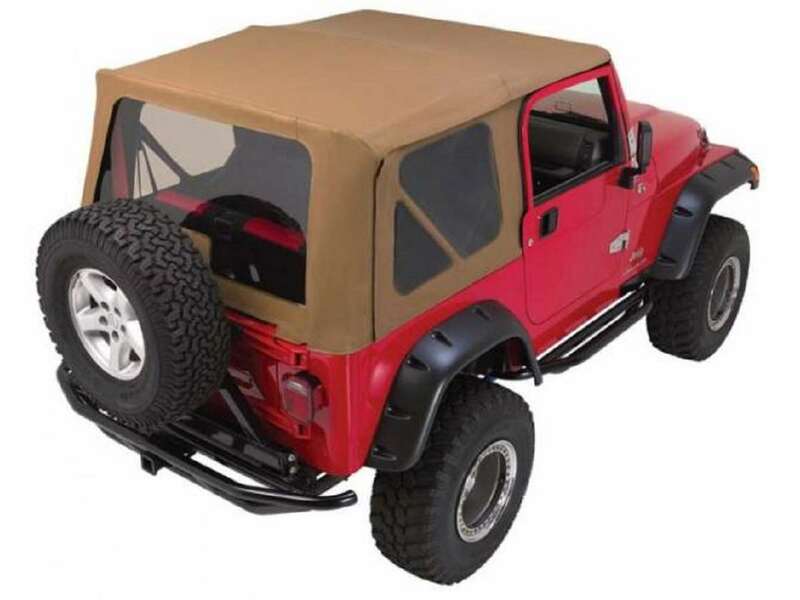 The YJ Complete Soft Top kit by Rampage includes Fabric Top, vinyl windows, new framework, bows, hardware and all accessories necessary for a new top installation. It comes with easy to follow instructions and is packaged in a convenient, durable Canvas soft top storage bag.